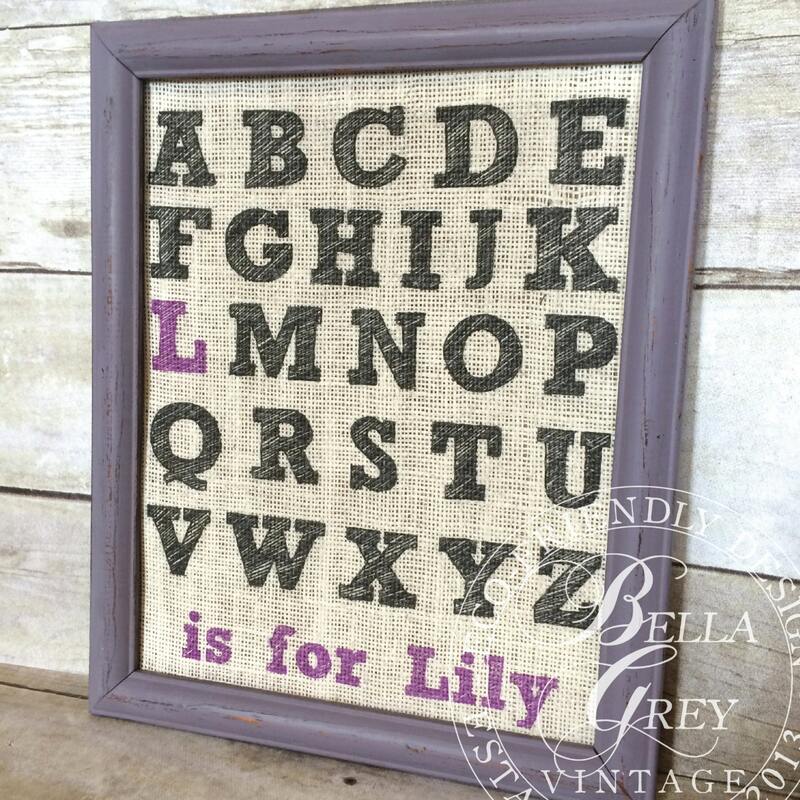 Fabric art print features the alphabet with your child's initial and name highlighted in the color of your choice. Please note that colors will appear darker on darker fabrics. Enter name for personalization in the "notes to seller" box at checkout, as well as your choice of accent color. Shown on ivory linen with sea accents (1st photo) and ivory burlap with lavender accents (2nd photo).